Can't believe it has been a year since my very first post on this blog. Time flies so fast, huh? 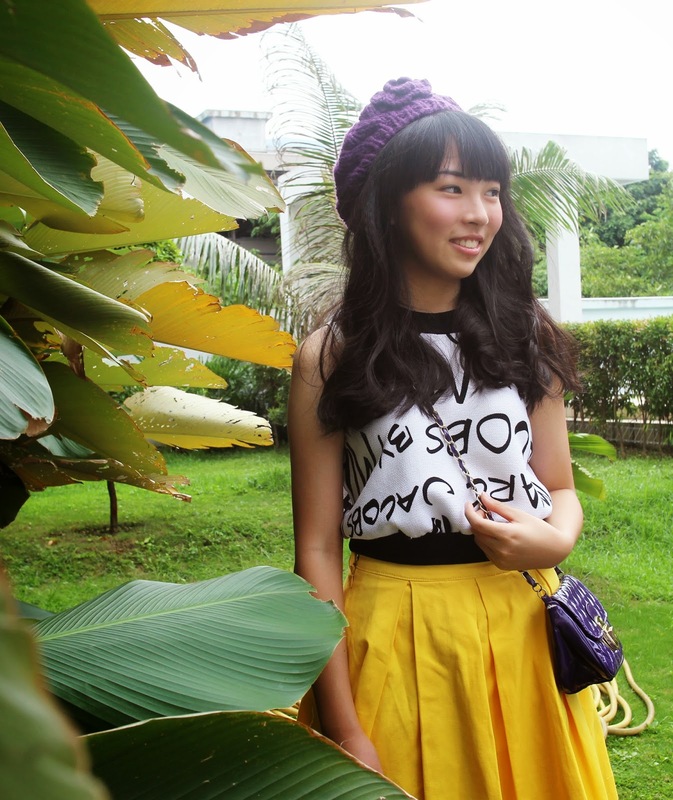 In this post, i try to combine two bold colors: yellow and purple in one outfit. What do you think? And also, i just couldn't resist the temptation of wearing this bright yellow skirt! It's very comfy and suitable for any look! All in all, i just wanna wish everyone a very happy new year in 2015. May your days be filled with joy, happiness, and laughter. And may all your resolutions you made this year can be accomplished successfully. Cheers for a brand new year!!!!! 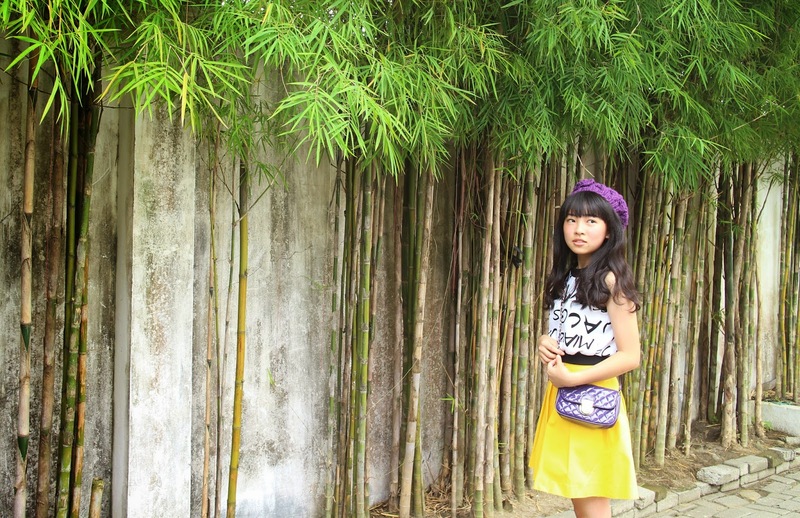 Bamboos trees and yellow color good combination of nature and technology.